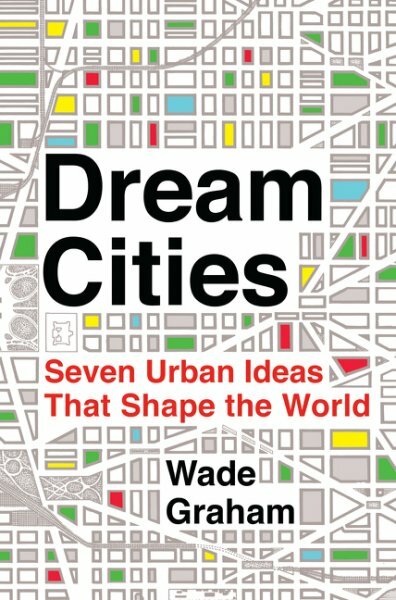 Wade Graham is a Los Angeles-based garden designer, historian, and writer whose work on the environment, landscape, urbanism, and the arts has appeared in The New Yorker, Harper's, Los Angeles Times, Outside, and other national publications. Graham's sought-after keynote speeches focus on the themes found within his latest book, American Eden: From Monticello to Central Park to Our Backyards, What Our Gardens Tell Us about Who We Are (HarperCollins). From Thomas Jefferson to Edith Wharton, Richard Neutra to Isamu Noguchi, Michelle Obama to our neighbors, Americans throughout history have revealed something of themselves in the gardens they create. Rooted in the time and place of their making, as much as in the minds and identities of their makers, gardens offer records of the tensions and energies in a constantly changing society. In a unique presentation that melds biography, history, and cultural commentary, Graham tells the story of America -- and Americans -- through its most significant gardens and their creators. From Thomas Jefferson's Revolutionary Virginia, Graham guides his audiences deftly through time and place -- from the 19th century Hudson Valley to the Gilded Age, from early Central Park to the Arts and Crafts movement, from the Depression era to 1960s suburban California -- as the story plays out across the diverse American landscape. In every age, old money and new, established social groups and ascendant ones negotiate their shared spaces in part through questions of taste, style, display, and the narratives that we spin around them. What was true in Jefferson's time was true in the Gilded Age, and remains true in our era of Hamptons hedge fund billionaires and reality TV makeover shows. As Graham proves in his presentations, Martha Stewart has nothing on our Founding Gardener, Thomas Jefferson. Graham is uniquely qualified to write such a unique hybrid as American Eden. As an environmental journalist and American historian, he has immersed himself in the stories behind America's greatest gardens. As a renowned garden designer, he is attuned to the motivations of gardens' creators, the circumstances of their creation, and the environments in which they're conceived. Graham offers his audiences the compelling and untold story about gardens' relationship to the larger movements of our culture and history -- a saga that mirrors and illuminates our nation's invention, and constant re-invention, of itself. 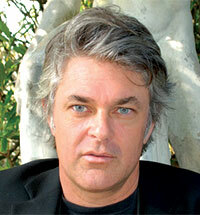 Graham received a BA in comparative literature from Columbia University, and an MA and PhD in U.S. history at UCLA. Since 1999, he has been a trustee of Glen Canyon Institute, based in Salt Lake City, Utah, dedicated to restoring the canyons of the Colorado River, and the editor of Hidden Passage, the journal of Glen Canyon Institute. He teaches urban and environmental policy at the Pepperdine University School of Public Policy. 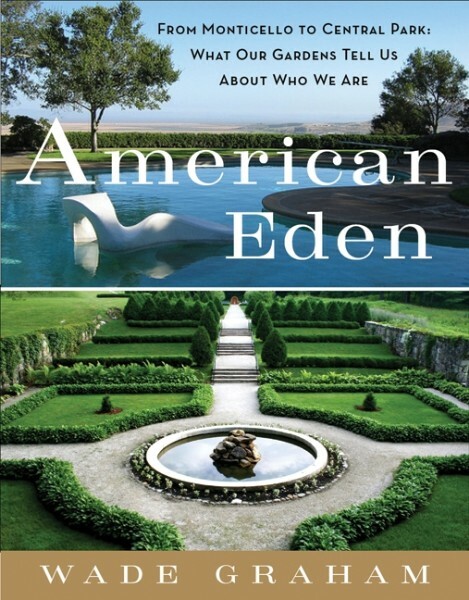 "American Eden is deeply researched, passionately argued, and engagingly written. It ranges assuredly, and often acerbically, from Thomas Jefferson to Robert Smithson, from Andrew Jackson Downing to Martha Stewart. As Wade Graham expertly fillets everything from the 18th-century patrician's pergolas to the post-war suburbanite's tiki torches, it gradually dawns on the reader that he is revealing not merely the American garden, but the American soul." "Wade Graham gives an informative and absolutely engrossing narrative of how the garden is caught up in the crosscurrents of American history and culture. American Eden is an astute analysis -- and, ultimately, a joyous celebration -- of 400 years of ingenuity and vision. A better or more appropriate book to read in the park or on the deck can hardly be imagined." "Accented by paintings, photographs, and drawings, the author's appealing commentary introduces a distinctive line of gardeners and foliage engineers whose work has become timeless. A bright, comprehensive horticultural celebration written with a fine eye for detail." "Garden designer and historian Graham takes a panoramic perspective in his bold interpretation of the form, function, and meaning of American gardens. Thomas Jefferson is the first, and most complex, of the many pioneering gardeners Graham incisively profiles, and Graham's frank dissection of the profound paradoxes implicit in Jefferson's landscape vision for Monticello in a time of slavery and genocide against Native Americans sets the groundwork for his central insight ... This blazingly fresh, critical, and ecologically astute masterwork brilliantly traces the great cycles of American life through a spectrum of gardens that embody our devotion to the art of cultivation for beauty and status, sanctuary and sustenance."